Chimeric antigen receptor (CAR) T-cell therapy is transforming the way that cancer is treated. It is an innovative immunotherapy treatment which uses patients’ immune cells to target tumours. Chemotherapy and radiation therapy have long been the major non-invasive treatments for cancer. However, if a patient’s cancer returns even after extensive chemotherapy, curative options are limited. CAR T-cell therapy is one such option for people suffering from acute lymphoblastic leukemia (ALL) and non-Hodgkin lymphoma. 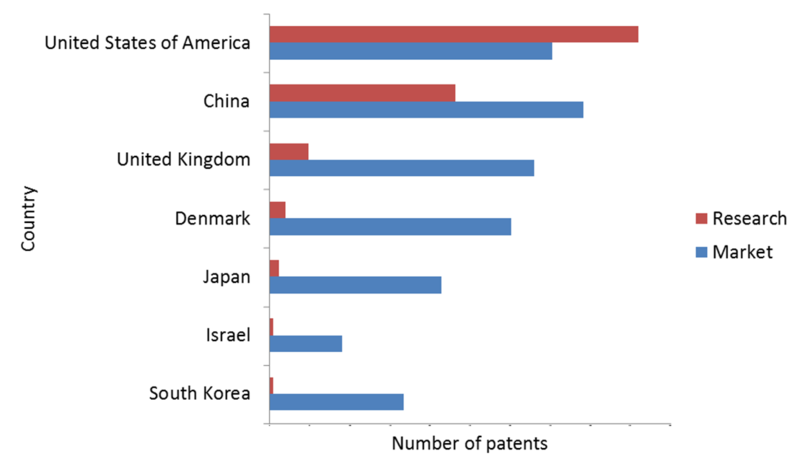 IP filings in this domain have increased significantly since 2015, with the United States and China supplying the bulk of inventions. In August 2017 the US Food and Drug Administration (FDA) announced the first approval in an expected wave of novel and highly personalised therapies that target cancer and other deadly diseases in an entirely new way: by modifying patients' cells. Two CAR T-cell therapies – tisagenlecleucel (Kymriah) and axicabtagene ciloleucel (Yescarta) – have been FDA approved for treating ALL and non-Hodgkin lymphoma. IP filings in this domain are directed towards developing successful products that mitigate these side effects. According to our in-house research CAR T-cell therapy depends on many important factors – the most important being the identification of relevant antigens, which are targeted by T cells. Filing trends and success rates support the effectiveness of the well-researched CD19 antigen for treating ALL and chronic lymphocytic leukemia (CLL). In recent years, R&D has begun to focus on other antigens such as CD20, CD22, GD2, CD33 and mesothelin, possibly because most companies are developing therapies which target additional diseases, including acute myeloid leukemia (AML) and multiple myeloma. Recent filings in the domain have confirmed that identifying antigens that are highly expressed by tumour cells, but have limited or no expression in normal cells is an important factor in developing CAR T-cell therapies. At present, only Novartis and Kite have FDA-approved CAR T-cell therapies: Kymriah and Yescarta, respectively. Technology major Cellectics has taken a different approach, using allogeneic or donor cells rather than patients’ own T-cells. To define CAR T-cell therapy domain based on the types of cells used, antigens targeted and the diseases targeted by the modified CAR cells. To identify innovation hub (research countries) for this technology and analyzing suitable market geographies for utilization of this technology. To identify the major players involved in this technology and analyze them by focusing on their patenting strategies (jurisdictions, type of claims, patent maintenance, etc. ), area of research, research centers, collaborations and comparison of these major players against each other in terms of IP potential, R&D capabilities and strategy. To identify new entrants in the domain, law firms, key inventors and research institutes / universities working in this area for potential collaboration opportunities. To identify the latest technological advancements in the domain, major IP stumbling blocks (dark spaces) in CAR T-cell therapy domain and recommendations for starting new research/ development programs. This report is a Handbook of Innovations & Technologies (HIT), in the CAR t-cell therapy domain and provides insights into the technical challenges, existing solutions, innovation trends, market trends and key participants in the innovation ecosystem of cancer immunotherapies. This report is essential reading for everyone associated with the domain of cancer immunotherapies, providing clear answers to problems and issues faced, enabling them to take key decisions. For example, this report can be beneficial to CEOs, heads and members of R&D departments, heads and members of IP/strategy departments, heads and members of HR departments, heads and members of marketing departments, academic researchers and scientists, patent agents and/or attorneys, as well as investors and consultants operating in CAR t-cell therapy domain. What are the different types of antigen being targeted? What are the major technical challenges associated with various modification processes, various CAR structures, antigens targeted and types of cells used? What are the major IP stumbling blocks (dark spaces) in CAR T-cell therapy domain? 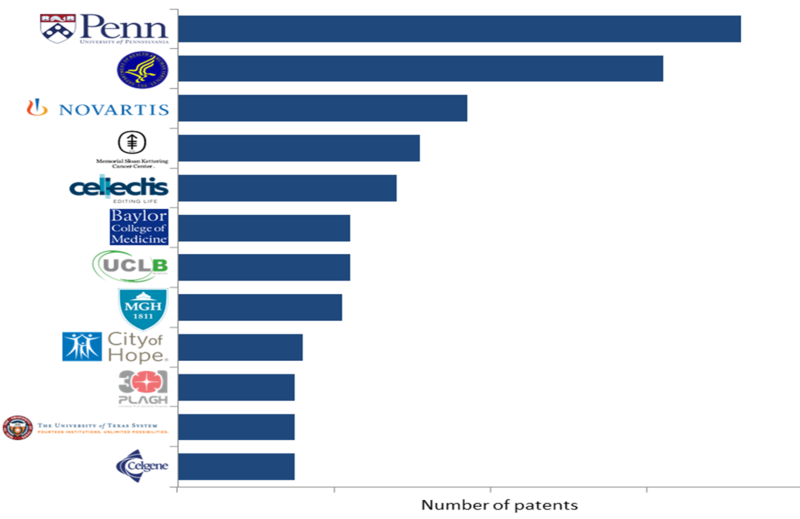 What patenting strategies are being adopted by major players in CAR T-cell therapy domain (jurisdictions, type of claims, patent maintenance, etc.)? What are the major law firms/agents involved in CAR T-cell therapy domain? To prepare this report, multiple diverse searches were conducted to comprehensively identify all the patents pertinent to CAR t-cell immunotherapy. These patents were then analyzed manually to capture their focus and application areas and identify the technical challenges. Thereafter, informative and actionable insights were generated by combining this manual information with the bibliographic information of the patents. Expert industry analysis has also been included as part of the research. This section highlights technology evolution (patent filing trends), primary countries of research, major market geographies, existing collaborations and opportunities, new entrants, key patents, most active law firms, prominent inventors and important IPC classes as well as key player’s IP position in the domain of CAR T-cell therapy domain. This section highlights the focus of patents and applications relating to the types of cell modified, antigens targeted by the modified cells, structure of the chimeric antigen receptor and the diseases targeted. Table 13 - Top art units in the U.S.